Check out our new Survivalist & Prepper General Store link under Survivalist Resources to the right of your screen. 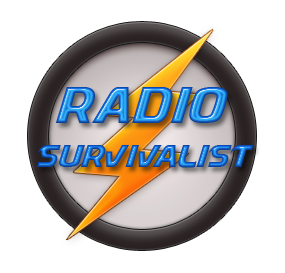 Survivalist Communications is a vital part of any survival plan whether the survivor is pitted against nature or man. The standard means of communications in today’s world is, of course, the venerable cell phone. Running a close second and some may contend that the Internet is an intrinsic partner to the cell phone industry. No one could argue the fact that these two technologies alone have allowed people to communicate more with each other. On the other hand it has turned us also into a lazy, self-indulgent society. Too harsh of a condemnation? Maybe, maybe not. Think about how many times you have been in line at the grocery store and Bimbo Geraldine is letting everyone listen in as she barks into her Bluetooth device. Also consider the numerous times you have stood in line at your doctor’s office trying to sign in and you have to wait on Eddy Entrepreneur as he conducts his business? And right under the “NO CELL PHONES” sign on the wall. Now think back to the time the United States met up with Mother Nature in the form of Hurricane Katrina. Suddenly there was no power in this area of the country. Generators kicked in with a roar and cell phones and Internet services providers were able to stay on the air. But only for a brief time as the hungry generators craved gas or diesel fuel on a regular basis. The problem then was the gas stations could not provide these fuels due to the massive power outages. Internet servers and cell phone equipment was now “casters up”, which is slang for a piece of equipment that is completely broken. People could no longer communicate with each other nor could the authorities and emergency crews and responders communicate. This was, to say the least, an eye opener for the once free spirited cellaholic. What was left when once reliable communications systems were left gasping for air, or in the case of Hurricane Katrina gasping for fuel? Amateur Radio was, and is, the answer. Not the AM/FM radio that you are thinking of but two-way radio, police scanning radio, shortwave radio. Ever pay attention to the fellow down the street or over in the next neighborhood with an “eyesore” of a tower or mast sticking up over his house with one or more large antennas or sometimes arrays of wires hanging off of it? You might have even participated in homeowner association attempts to get these antennas removed. But it was a much publicized fact that amateur radio, or ham radio as it is more commonly referred to, came to the rescue during Hurricane Katrina and many other disasters before and since. 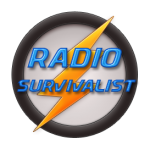 That is what Radio Survivalist is about, making sure that folks know what communication alternatives are available to them when everyday communications such as cell phones and the Internet are no longer viable. We will go into the world of ham radios , shortwave radios , antennas , and might even touch upon police scanners (although these do not provide much during disasters).